Hello World, and Marhaba from the Middle East! Thank you for reading our very first Middle East member newsletter. We have lots of updates, so we are sure there is something here for everyone. As you know, the Middle East bureau focuses its work on community empowerment, internet infrastructure and technical aspects as well as policy discussions that are relevant to the region. Currently, the Middle East has more than 4000 individual members with chapters in Bahrain, Lebanon, Palestine, UAE, Yemen, Egypt, Mauritania, Morocco, Sudan and Tunisia. In order to put people in the center of the Internet, the Internet Society and Consumers International formed a new working society focused on creating a safer and more reliable Internet for all. Consumer trust is essential for the IoT to prosper and therefore it is necessary to guarantee the protection of security and privacy on the Internet as fundamental pillars to build trust. The explosion of connected devices in our daily lives is exposing privacy and security, establish Kathryn Brown and Amanda Long by announcing joint work to improve the IoT ecosystem. Learn more details. Palestine Chapter, a success story. Our recent chapter is conducting a campaign to raise awareness about the dangers of electronic blackmail and cyber harassment in Palestine. The project has already reached more than 2250 schoolgirls in 25 Palestinian schools in phase I of the project. Know more on what motivated the Palestine Chapter to start this project. Ranked 24th worldwide and the best performer in the region, the UAE offers an impressive trade infrastructure coupled with a supportive business environment. The largest categories of spending will be applications, connectivity services, and IT services as manufacturers build out their digital platforms to compete in the digital economy. The Internet Society was originally founded on two pillars: development and technology. For over 25 years, the Internet Society has devoted itself to building the Internet in different parts of the world and has contributed to the promotion of Internet technical standards. In light of this experience and expertise, the Internet Society made a clear strategic decision to focus its work on two broad thematic areas that would allow it to continue performing its historical role while accepting today’s realities and looking into the future. Read more here. نظراً إلى تزايد الاعتماد على وسائل التواصل الاجتماعي والتطبيقات المتاحة على الهاتف، باتت الخصوصية مسألة في غاية الأهمية، وخلال الأيام القليلة الماضية، أقر الاتحاد الأوروبي قانوناً جديداً في هذا الشأن. لقد كان الساسة والمشرعون في القارة قلقين منذ التسريبات الأولى التي وقعت قبل سنوات، إضافة إلى الاختراقات التي راح ضحيتها ملايين المستخدمين، وبذلك أصبحت شركات عملاقة مثل «غوغل» و«فيس بوك» تحت طائلة القانون الجديد الذي لا يرحم. الخطأ بعد الآن غير مسموح، يتعين على الشركة المقصرة في حماية بيانات مستخدميها أن تدفع غرامات ضخمة. عام بعد عام تتغير توجهات قطاع تكنولوجيا المعلومات التي خرجت عن نطاق الأجهزة والبرمجيات والسحابة الإلكترونية، وكانت تبعات هذا التغير تأتي بنمو طفيف في مستوى الإنفاق، لكن يبدو أن الاعتماد على تقنيات إنترنت الأشياء والذكاء الاصطناعي والروبوت الذي تمثل الجيل الجديد من التحول الرقمي قد أثر بشكل كبير على نمو الإنفاق على تقنية المعلومات في المملكة، حيث إنه من المتوقع أن يصل حجم الإنفاق على تكنولوجيا المعلومات في العام الجاري إلى 11 مليار دولار. Salam Yamout is the Middle East Regional Director headquartered in Lebanon. 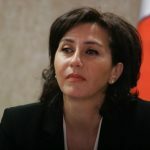 Salam is also a co-founder of several ICT related NGOs (Beirut IX, Lebanese Internet Center, Women in IT, and the Lebanon Chapter of the Internet Society). She also serves on the board of various organizations including RIPE NCC (the Internet Registry for Europe, the Middle East, and parts of Central Asia); MIT Enterprise Forum for the Pan Arab Region, and the Lebanese League of Women in Business. “In my role with Internet Society, I am dedicated to working collaboratively with communities, organizations, governments and individuals to ensure the Internet is future ready for generations in the region”. Today’s realities and looking into the future”. Read more here. The Internet Society Middle East Bureau, in collaboration with local partners, organized a “Blockchain Technologies & Internet Governance: Secrets & How To’s” events in Amman, Beirut, & Dubai. The program entailed a morning session in the form of an interactive exercise in which participants learn about the mining process (proof-of-work) in a crypto-currency simulation. Also, the session covered some of the exciting yet primarily misunderstood aspects of blockchain technology such as smart contracts and decentralized apps (DApps). This interactive learning experience had participants start thinking about how this rapidly growing technology may impact day-to-day online activities from social media networking to e-health and from online payments to e-banking.The afternoon session, however, was in the form of a discussion about blockchain technologies use cases and implications for the internet and society at large. The event ensures active participation of attendees and provides a thorough introduction to blockchain technology to attendees with various levels of experience. Welcome to our second newsletter from the Middle East.